Garage Door Repair Houston, TX | 713-401-3563 | Call Now !!! When dealing with our garage door repair services in Texas, you are assured that we have your best interests at heart. We focus on solutions, so that you will not have to deal with the same problems again. We work hard so that you can completely put your trust in us. We will never fail that trust as we constantly work on improving our services of garage door repair. 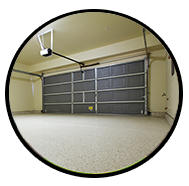 We offer residential garage door inspection, adjustment and maintenance! Our company offers routine services at affordable prices! 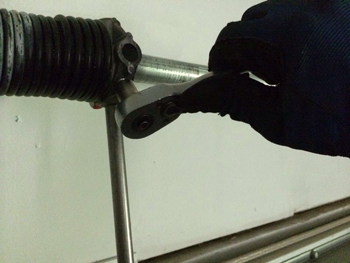 With annual garage door maintenance, parts last longer and problems are prevented. We maintain doors made for residential use and are trained to service most types of the most known brands. Apart from servicing your door, our technicians inform you about the condition of the entire system and whether there is need to make any important replacements. Our team is well-equipped, doesn't leave a mess behind and makes sure the door is thoroughly checked and fixed so that it can operate with safety. These are the main steps we follow when maintain your garage door. They are all important and play a great role to the overall tune up of the door. It includes the careful examination of all garage door parts, including the wires and fasteners in order to determine what must be done to improve the system's condition. Minor repairs always take place so that the door will be stable and move properly. They might include the alignment of the sensors or the tracks or the tightening of the fasteners. Tracks, hinges, springs and all moving parts made of steel are lubricated so that they won't make noise as they move. Lubricants create a layer to protect the parts from scratches and erosion. Garage door adjustment is vital. This service ensures that the door is balanced and moves to its closing and opening position. The door is balanced by adding or releasing spring tension. The door's force and travel limit are adjusted at the opener control panel. Although all parts are checked, some need special attention since they are essential components for the good operation of the door. They hold the door and help the springs lift it. They can be fixed if they are loose or off the drum. They are checked for frays and the homeowner will be informed if they need to be replaced. Springs lift the door once they balance it. Since they only last for about 5 to 7 years, they are checked and the homeowner is informed whether the spring is about to break. When springs break, they might cause serious accidents. The trolley, gears, the chain, the control panel, the sensors, and the motor are all parts of the opener system. Everything is checked down to the last detail, since the opener ensures safety and automatic operation. The reverse system will protect your car from damage and help you avoid accidents by a collapsing or descending door. It is checked, tested and if there are problems, they will be fixed. The weather seals installed at the bottom, top and side parts of the garage door enhance insulation and keep all gaps between the door and the jamb sealed. They are checked and if damaged, their replacement is recommended. Although horizontal and curved tracks are checked carefully, vertical tracks are checked inch by inch since they damage easier. Bent tracks are repaired so that the door won't be noisy. The rollers are checked in relation to the tracks. They must sit on the tracks correctly so that they can move up and down properly and won't pop off. If they are rusty, the homeowner is informed. The fasteners include all the screws, nuts and bolts, which secure the other parts. If they are rusty, they are replaced. They usually need tightening and some lubrication. Garage doors make our lives easier. Thanks to the invention of openers a simple pressing of a button is enough to open and close the bulky door with ease. People come and go as they please without having to step out of their car to open the door. Hundreds of mechanical and electrical units work hard night and day to provide the smooth operation of the door and ensure the protection of the house. 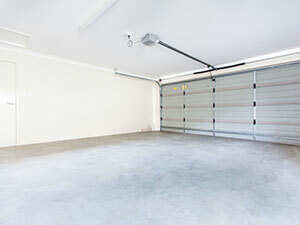 Yet, garage doors cannot work without regular maintenance and frequent repairs. If you neglect a small problem today, it will grow into a huge problem tomorrow. So, if you don’t want to lose your convenience, you must ask for our assistance every time you need repairs or replacements. 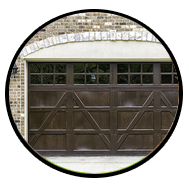 Garage Door Repair Houston is at your service! 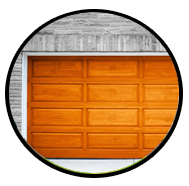 Garage doors wear and tear over time due to their constant operation. If the cables snap or the tracks break, don’t think you are the unfortunate one; these things happen every day. Yet, you must remember that repairs and replacements must not be performed by you. Garage doors require the experience of professional experts in order to avoid injury and security risks. We have that experience. For example, repairing or replacing springs can be a dangerous task. They are placed under tremendous pressure and, hence, must be handled only by professionals. Also, remember that properly functioning garage door and garage door openers are an integral part of your home security system. You need your garage door opener and the remote control that operates it to be working effectively in order to be safe and secure in your home. Loose cables may slow down the pace of your garage door. Bent tracks will put the door off tracks. All garage door parts need adjustment often in order to operate properly. They need lubrication and maintenance. Cables are prone to getting loose, breaking, or coming off the drum. If any of these problems are plaguing your door, give Garage Door Repair Houston, TX, a call for quick and reliable service. 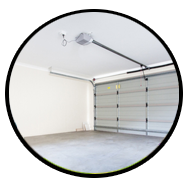 If the garage door track is bent, we can repair or replace it, so that your door will rise and lower with ease. Visualizing a new door is easy these days! Let's say you have spotted a gorgeous garage door in your neighborhood and want the same for your home. Always ensure that the door is closed. There will probably be crimps and dents, something that is always of concern for our emergency garage door company. Door opener maintenance is also very important. The parts are fewer, but are just as essential for the safe operation of the door.